Richardson said that a “consistent” US naval presence in the region one that persisted with what it called “freedom of navigation” exercises into territory claimed by Beijing plus a rapidly expanding PLA Navy, demanded more ways to minimise the chance of miscalculations between heavily armed warships. Rules based on a transponder-based automatic identification system could be used to share vital information among ships to avoid collisions, Richardson said. Richardson’s remarks on “grey zone” or “short of conflict encounters” comes as China and the US are engaged in competition on many fronts. While their rival economies are locked in what some have described as the largest trade war in economic history, there are fears of confrontation over the South China Sea and the status of Taiwan, two issues Beijing regards as its business. 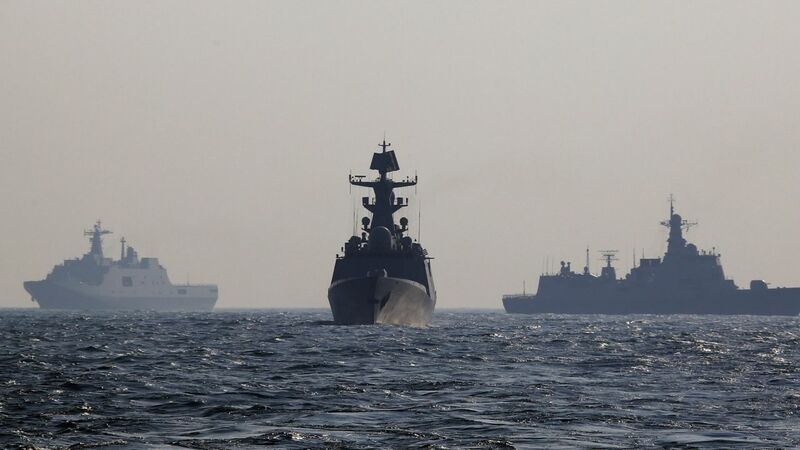 The US is also concerned with flashpoint encounters involving the Russian Navy in the Eastern Mediterranean and the Black Sea. Richardson said that his January visit to Beijing, when he met with his counterpart, vice-Admiral Shen Jinglong, and general Li Zuocheng, the PLA’s chief of joint staff, was part of an effort to seek a deeper understanding and minimise the risk of conflict. In Beijing, Richardson said, he had emphasized the “consistency” of US policy concerning the South China Sea and Taiwan, the self-ruled island Beijing regards as a breakaway province to be reunited, by force if necessary. The US had made it clear that militarisation of [South China Sea] islands was a destabilising factor for the world, not just for the region, he said.